Over the years, there have been volumes of cricket books written on cricket tours and these tour books provide insights into what has happened during those matches and behind the scenes. In each of our catalogues we stock a number of quality cricket tour books. 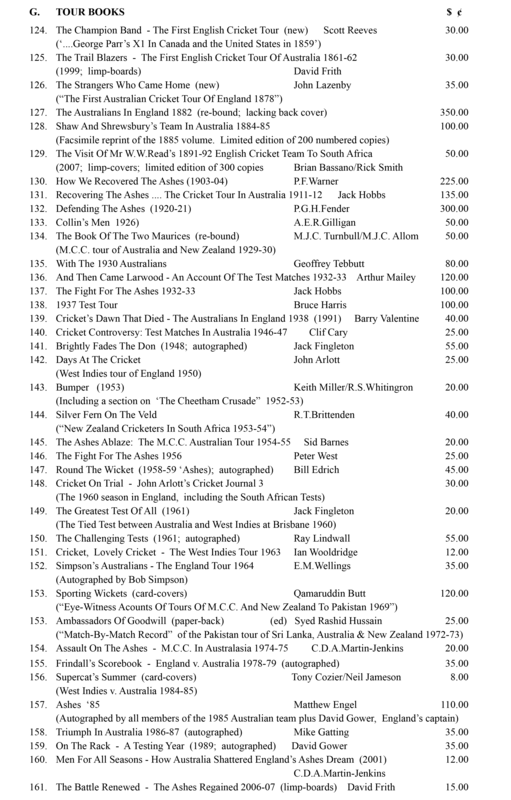 If there is as special request for a book from the cricket tour books category please do not hesitate to contact us.